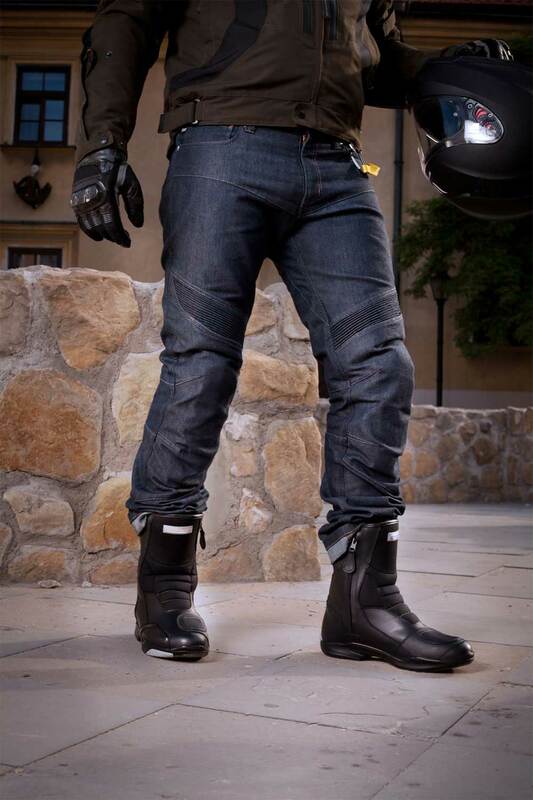 The SHIMA GRAVITY motorcycle jeans are a unique combination of safety and function. 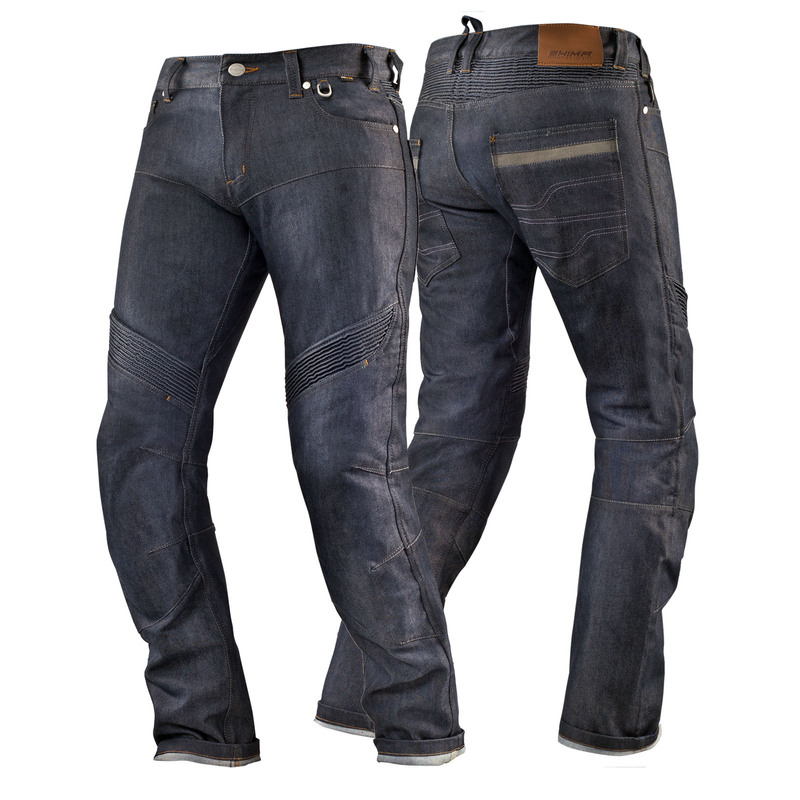 Made from CORDURA®Denim fabric, the GRAVITY jeans are highly resistant to wear and tear. 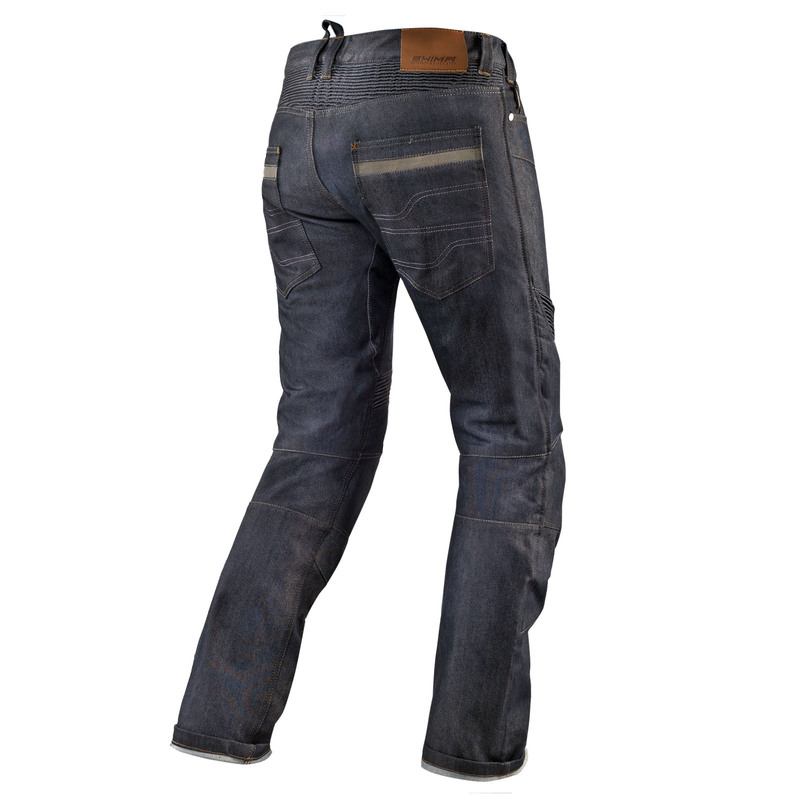 The Coolmax® fibers woven into the denim provide improved air ciculation. The trousers' line is shaped to conform to your riding posture thanks to the additional stretch panels in the knee and tailbone areas. ArmorPlus knee protectors are included, and can be easily removed through an external pocket. 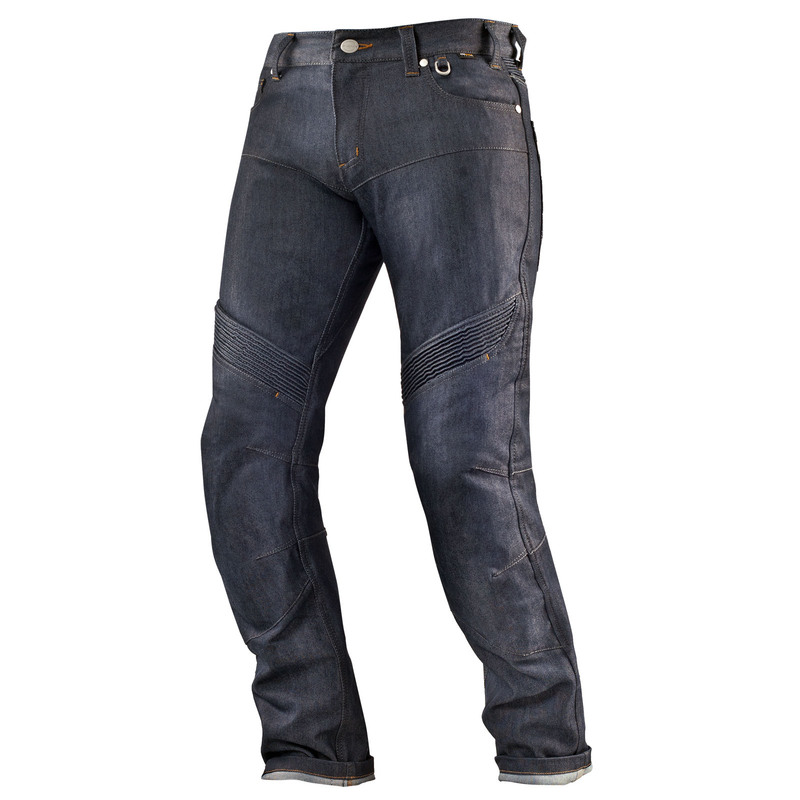 The trousers comes equipped with the SHIMA ArmorPlus system on the knees. The protectors are made from an open-cell PU material which - under normal circumstances - works invisibly with the body. Under impact conditions, however, the material instantly hardens, absorbing most of the force. The trousers comes equipped with the SHIMA ArmorPlus system on the knees. The trousers' line is shaped to conform to your riding posture thanks to the additional stretch panels in the knee and tailbone areas. 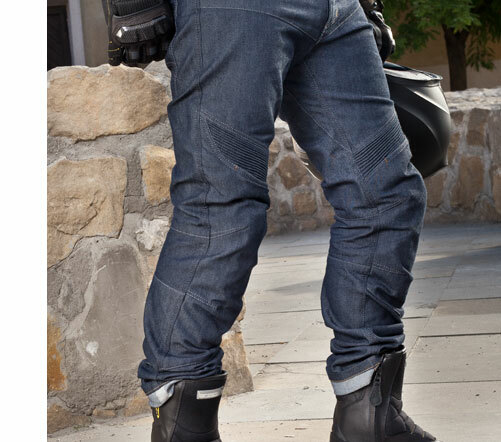 The GRAVITY motorcycle jeans are a unique combination of safety and function. 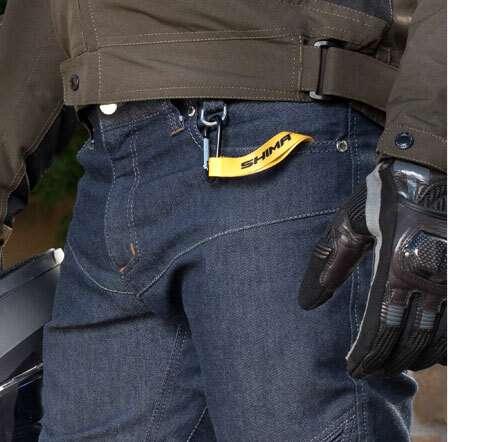 Made of durable CORDURA® Denim fabric and an additional layer of Kevlar® lining, the GRAVITY jeans are highly resistant to wear and tear. The Coolmax fibers woven into the denim provide improved air circulation during hot days and keep warm when the temperature outside is low. The trousers’ line is shaped to conform to your riding position thanks to the additional stretch panels in the knee and tailbone area. Knee protectors are included and can be easily removed by an external pocket.